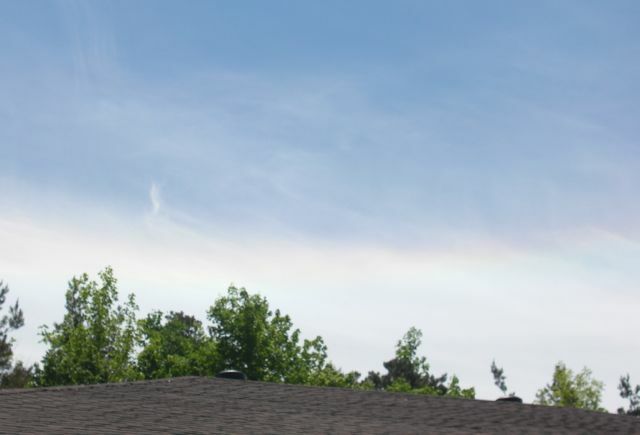 There was a pretty rainbow effect in the sky on my walk the other day. It was far more vibrant in real life, so this photo doesn't really do it justice. But if you look closely you can (sort of) see the colours.